Spider-Man 3 (2007) | Tales From The Ipe! 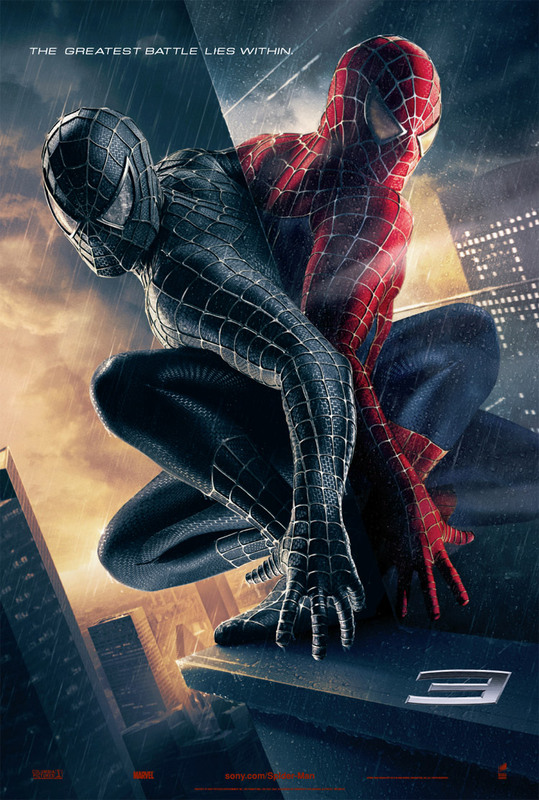 I watched Spider-Man 3 a la Netflix Watch Instantly (video streaming) on my PC tonight. I was thinking back to 2006 and 2007, when I was blogging about how this movie looked so good. Sometimes when I don’t quite think a movie is all that, I’ll describe it as “Eh.” “Average” “Okay.” “Simple popcorn flick.” I thought Spider-Man 3 was “cheesy.” What was that? Hammy acting, stupid I-couldn’t-care-less story line, and a total hash of the established history. Furthermore, I didn’t think the special effects were all that, and the character motivations (and mood swings) felt contrived. Seriously, what was up with having an Emo version of Peter Parker? And that dance number in the jazz club? This movie was dumb. This entry was posted in Entertainment and tagged movies, spiderman. Bookmark the permalink.